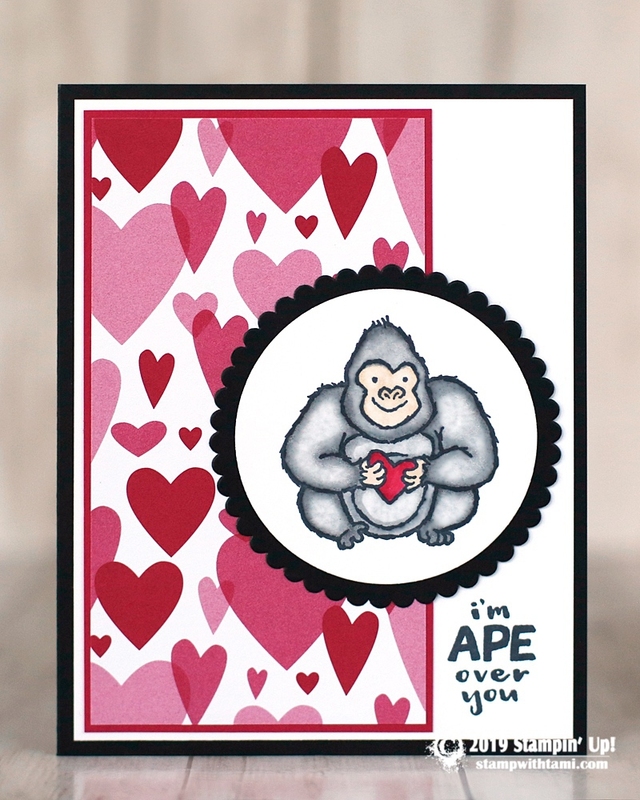 “I’m ape over you” Valentine’s Day card is from the adorable Stampin’ Up Hey You stamp set in the new Occasions Catalog. The ape image is colored with Stampin’ Blends markers. The circle panels are cut from the Layering Circles dies. The background is the All My Love Designer Series Paper. Full supply list to recreate this card is below. Be sure to check back all week for more Valentine’s inspiration! Tomorrow I’ll be sharing another card from the Hey You stamp set.